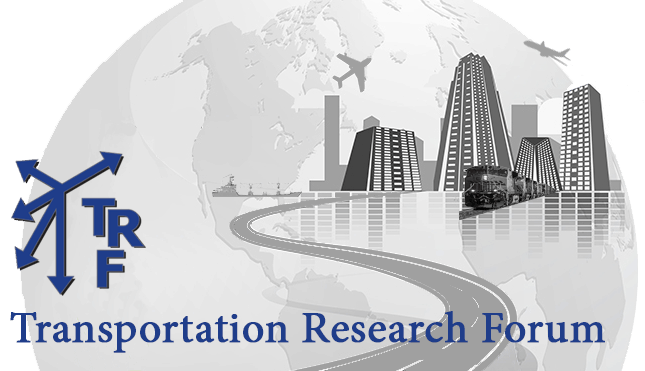 Founded in 1958, the Transportation Research Forum (TRF) is an independent organization of transportation professionals. Its purpose is to provide an impartial meeting ground for carriers, shippers, government officials, consultants, university researchers, suppliers, and others seeking an exchange of information and ideas related to both passenger and freight transportation. The Forum provides pertinent and timely information to those who conduct research and those who use and benefit from research. This exchange of information and ideas is accomplished through national and local TRF meetings, and by publication of professional papers.